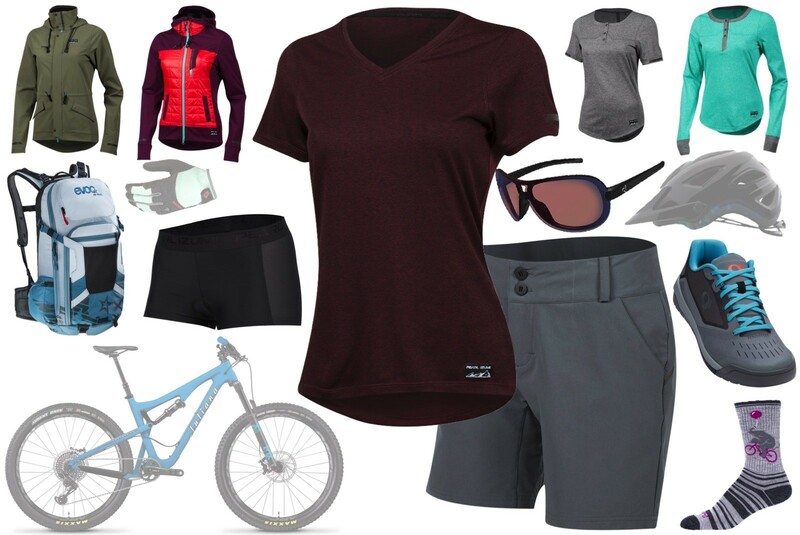 Each year at Interbike, the largest bicycle trade show in North America, we get a fun opportunity to see a lot of new women's apparel from various brands. Our viewing options were a bit limited this year, but do not fear! There was still enough to keep us entertained as we "shopped" our way around the show, and now we pass the entertainment on to you. Here are eight women's looks we put together from standout items at the show. Enjoy! 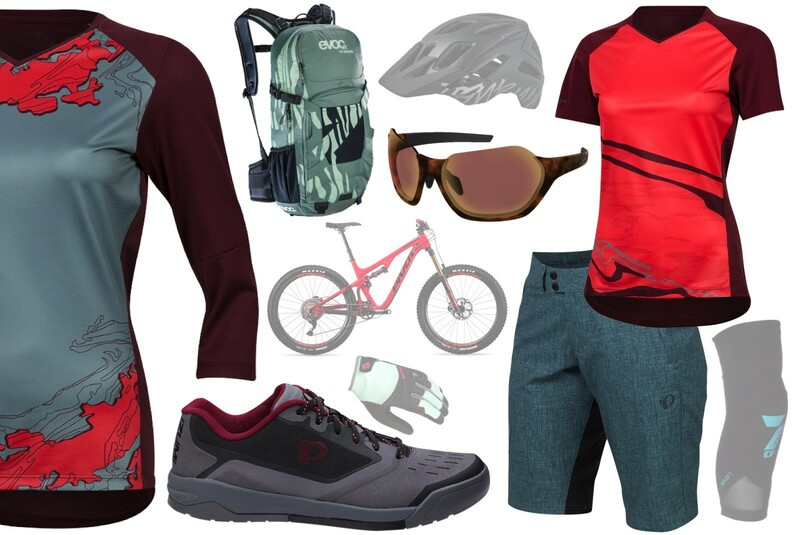 The new year means new colors for Pearl Izumi’s Launch and Summit apparel lines. Look forward to combinations of arctic (blue), sea moss (green), port (deep red), and cayenne (bright red) coming around next year. Good colors that combine well together. Mixing and matching will be a chose your own adventure among these items. Pearl Izumi released their new Versa line during the summer. These pieces have a more casual, crossover to daily life look with one requirement: they should be comfortable for at least an hour’s ride. Each item features technical fabrics, reflective accents, and good looking designs with the ergonomics of riding in mind. For example, the shoulders are articulated forward to accommodate the reach for the bars. A number of Versa items are already available and there’s more to look forward to next summer. We also saw a few updates and new items from Sweet Protection – a brand that can cover you from head to knee. The shorts are lightweight and soft with an ergonomic shape, adjustable waist, laser cut ventilation, and zipped cargo pockets. Made from 100% merino wool, the Badlands jersey, now available in both short and long-sleeve lengths, has unique moisture and temperature regulation properties. The 2018 Vibrant Violet and Dark Frost colors will mix and match great between women’s items. Zoic made some improvements to their best-selling Navaeh short and added a couple more jersey options to their women’s selection. The biggest change to the short was moving the seams along the outside of the leg and changing the side pocket to an internal design. This gives the short much cleaner lines. These shorts and jerseys are available in many colors, allowing you to find a match to suit any rider’s style. No outfit is complete without shoes, and when hitting the trail you want them to perform well. Pearl Izumi has new shoes that seem to check all the boxes for that. The new X-ALP Launch is available in flat pedal and clipless versions. The flat pedal shoe uses two different rubber compounds on the sole. A durable rubber is located at the heel and toe ends of the shoe and a tacky rubber is located where foot meets pedal. This is an impressively lightweight shoe constructed with a seamless, bonded upper and a reinforced toe cap for added protection. The clipless pedal version shares many features with its flat pedal sister, but it has an added ¾-length composite shank for added pedaling power. Another flat pedal shoe to keep an eye out for is Shimano’s new GR7W women’s flat pedal shoe. This one employs a Michelin outsole that looks like it will give massive amounts of traction both on and off the bike. Different tread zones offer specialized grip on the pedal contact patch for riding and the rest of the shoe for walking. Another interesting feature of this shoe is a stretch mesh ankle collar to help keep debris from falling down inside. When we're off on trail adventures, we leave the purse at home and level up to a hydration pack. Evoc’s FR Trail women’s daypack comes with an integrated back protector and 20-liters of capacity. The fit that has been specially designed to adapt to the female anatomy in the shape of the shoulder straps and where the hip belt is aligned. The 16-liter capacity Evoc FR Enduro (not shown) also has an integrated back protector and is designed for the female anatomy. When a full-on pack is too much, Evoc's Hip Pack Race 3-liter pack is a good option that’s worked well for us. 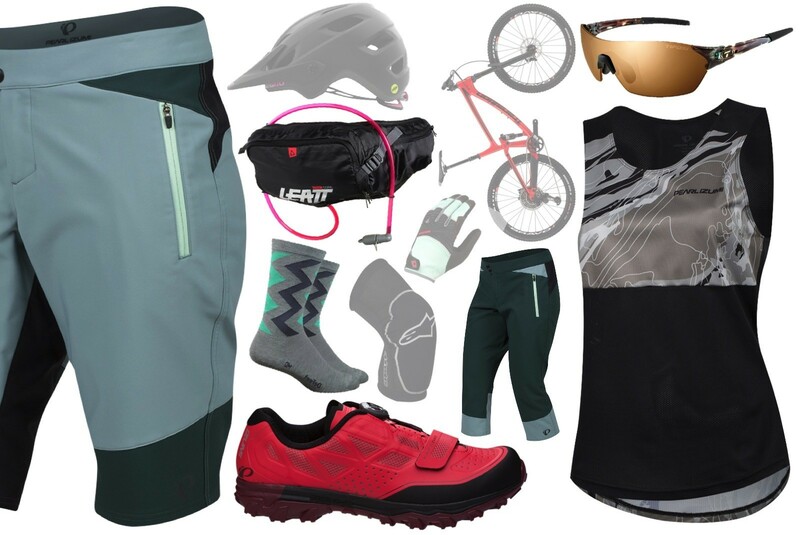 Another option to consider is the new Leatt Hydration DBX Core 2.0 hip pack. This pack is super lightweight with a stretchable mesh waistband, a 2-liter water reservoir, and grip patches at the back to help keep it in place. Hip packs are great for letting your back breathe as opposed to getting sweaty, and the amount of water you can carry in them can easily get us through a typical ride. Good eyewear is also a must. At Interbike we visited with Ryders (left) and Tifosi (right). Ryders is a brand that packs nearly everything but night-vision into their glasses. They also have some interesting frame designs you aren’t likely to see anywhere else. Our two favorites in Ryder’s lens tech are the anti-fog and photochromic properties. If you are looking for a more affordable price point, however, Tifosi can probably meet your budget. They have options with interchangeable lenses and photochromic lenses. Tifosi also uses hydrophilic rubber on the nose and temple pieces to keep the glasses from slipping. 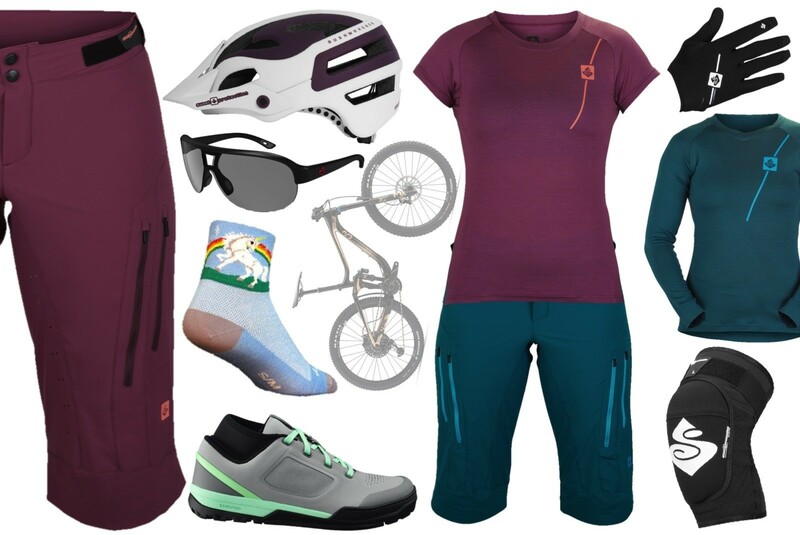 Hopefully these looks have inspired you to gear up and hit the trail. The next time you go looking for a wardrobe refresh, perhaps some of these items can join your collection.